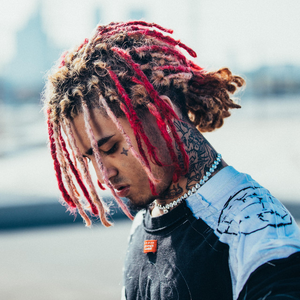 Gazzy Garcia (born August 17, 2000), known professionally as Lil Pump, is an American rapper and songwriter. Born in Miami, Florida, Garcia rose to popularity late 2015 via music sharing website Soundcloud, gaining millions of streams on the site. Garcia is best known for his song "Gucci Gang" which peaked at number three on the Billboard Hot 100. Lil Pump and fellow Miami rapper Smokepurpp co-headlined the "No Jumper" tour in 2016, and he has also performed at the Rolling Loud Festival.